workout calendar | Keep It Up, David! 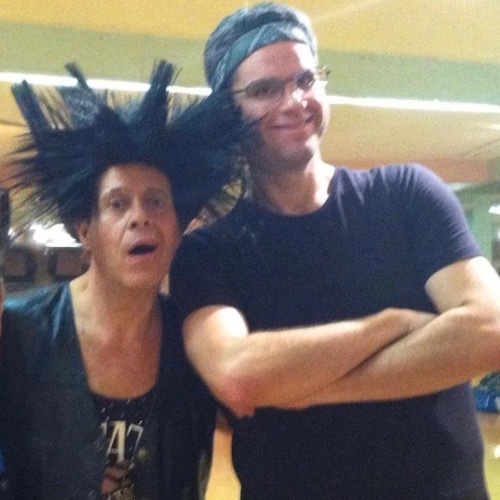 I came across a photo of me and Richard Simmons that I haven’t seen (or shared) in years. This was taken after one of his classes at Slimmons, and Richard was obviously in a punk rock mood. Richard would often create themed music playlists for his classes, and then dress up accordingly. It resulted in fun (and sometimes outrageous) costumes! 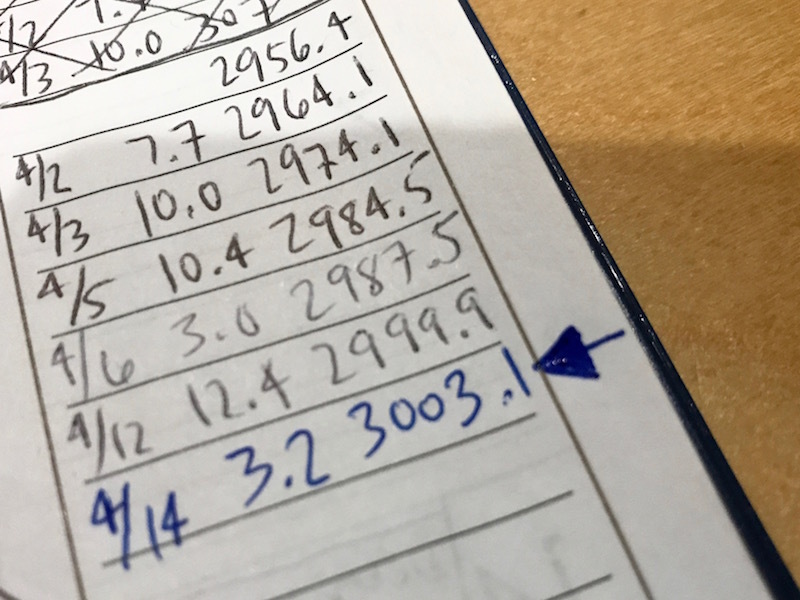 Usually I’ll start a post like this with my weigh-in results, but this time I’m gonna flip it around and start with my Workout Progress Report, because I hit a big milestone there: 3,000 cardio miles! Stay tuned for a Birthday Burpees update at the end! Sorry for the delay, folks! 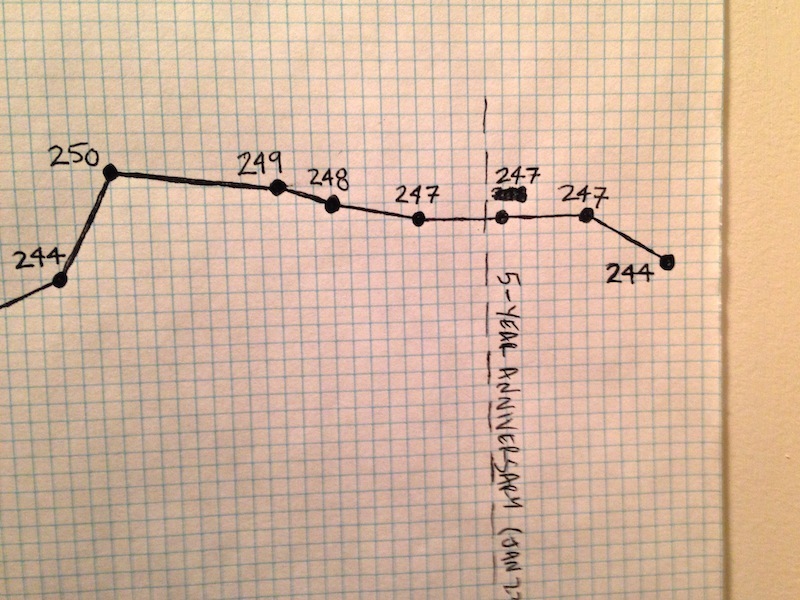 Normally I do my monthly weigh-in at the first of the month, but I was in Michigan when March began, and I didn’t weigh myself until I returned home, a few days later. This post was further delayed due to my birthday and the enormous Birthday Burpees challenge that came along with it. A new month has started. Time to update my weight loss chart! 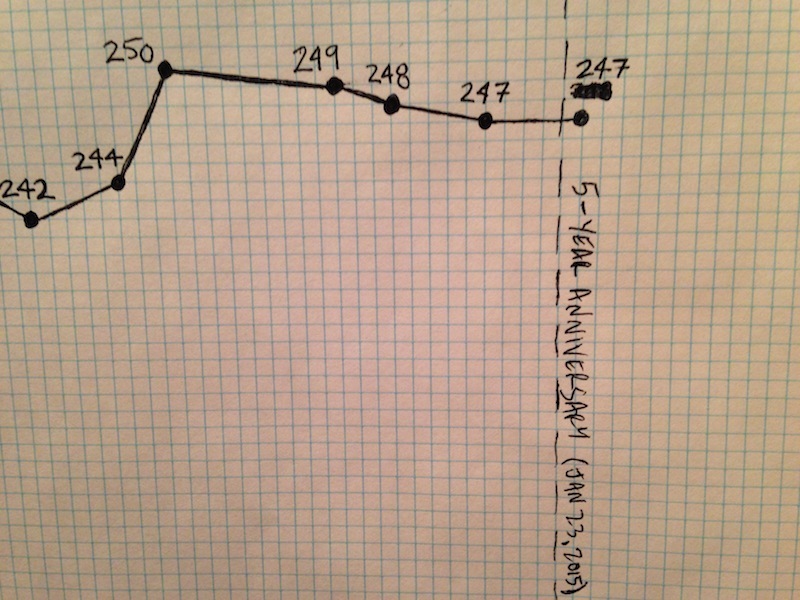 I added my 5-Year Anniversary line and stepped on the scale.